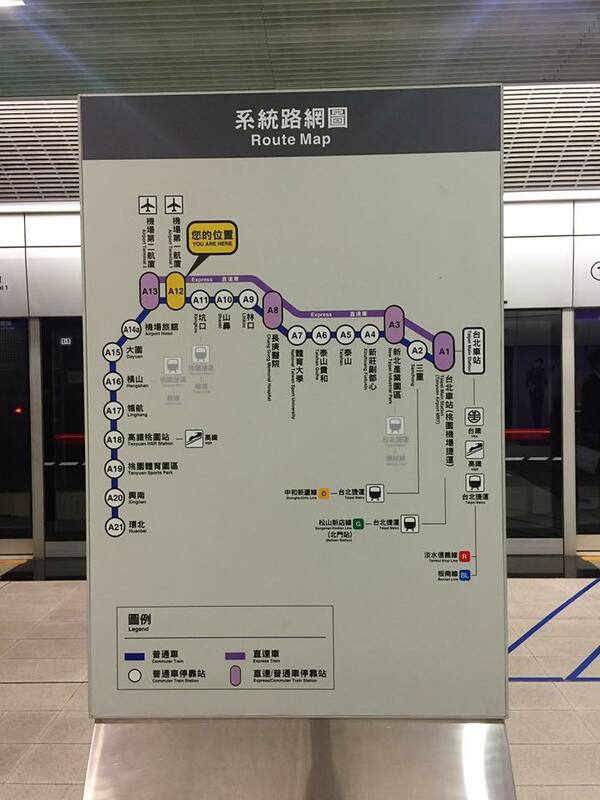 With the new Airport express available now, it connected downtown Taipei City and Taoyuan airport (1 & 2) hence creating the fastest route to travel between 2 points. The route runs 53 km in length, comprises 24 stations in total and covers TAIPEI CITY | NEW TAIPEI CITY | TAOYUAN CITY area. There are 2 types of trains – Commuter (70 minutes) and express train services (35 minutes). Difference will be that the express train only stops at the 5 main stations highlighted in RED. TAOYUAN AIRPORT TO TAIPEI MAIN STATION. First train begins at 6.12AM and last train to depart to Taipei is at 10.42PM. First train begins at 6AM and last train to depart to the airport is at 10.58PM. ​Passengers flying on certain participating airlines can make use of the in-town check in and baggage service between 6am to 9.30pm at Taipei Main Station, High Speed Rail Taoyuan Station and New Taipei Industrial Park station. The check-in needs to be processed at least 3 hours prior flight departs and is only applicable to passenger whose flight leave after 9am. The express train has 4 passenger carriages and 1 luggage carriage. In carriage’s layout resembles the High speed rail (HSR) train where designated luggage space is available on board. The train is also equipped with WIFI for free usage. I will strongly recommend travellers to travel via this mode since it is fuss free and the directions to travel from Airport to the Express train terminal is also very straight-forward. 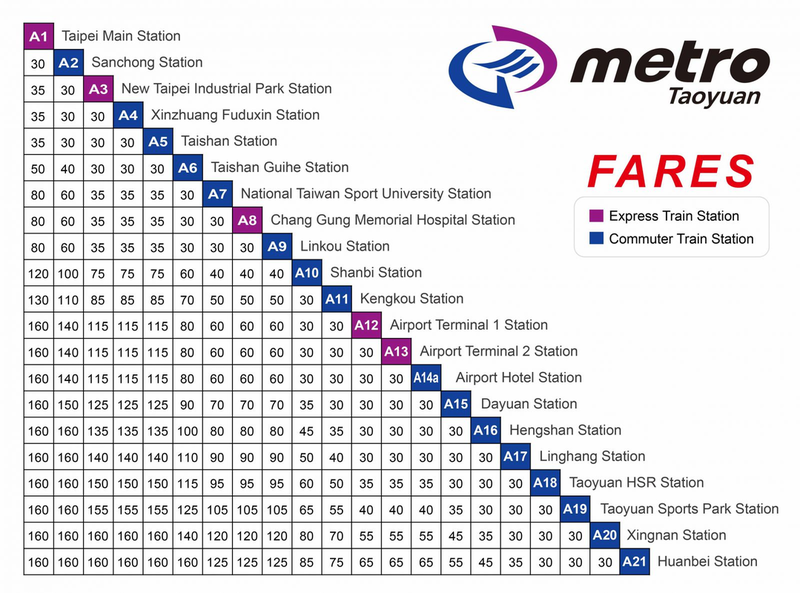 TO NOTE: Children BELOW 6 years old (children over 115cm tall should present identification) can take the Taoyuan Metro without a ticket, however must be accompanied by passengers with tickets. A ticket holding passenger can bring up to 2 children otherwise the TYM may refuse transport services.